The 1920s was a fantastic era that brought us the world of Great Gatsby and great design. Called by many names - the roaring twenties, art deco, and art nouveau, the 1920 was all about glamour and life. If you want to instil the same into your dream wedding day, a great starting point would be with Gatsby wedding invitations. These cards which can act as the glue of all the wedding design elements making it an easy reference for all the other wedding details you need to look at - the wedding dress, wedding stationery, choices of flowers & decor, and more. If you're to have a Great Gatsby inspired wedding, there are a few must have inspirational ideas that you may want to include in your design drafts which will help you decide what the wedding invites will look like. Art deco wedding stationery is on top of the list, followed closely by a grand venue, a flapper bride & dapper groom style, a vintage colour palette that resonates hues and accompaniments of the 1920s era, to geometric wedding cakes, roaring 20s inspired cocktails, a DJ with a phonograph accessory, a fabulous getaway car and not to mention a great dress code for stylish guests. Having these items in your wedding theme brainstorming book can help in fine tuning what your design style may be, making it easier for you to shop for the perfect art deco wedding invitations, stationery and theme ideas. If you and your fiancé have a preference in terms of what your vision of art deco looks like, now is the time to list those down and compare notes in order to arrive somewhere in the middle for a beautiful compromise. With this in mind, you can set about looking for great vintage or grand venues that will be helpful to sell your Great Gatsby wedding theme. If the venue itself has design features from the era, you can be inspired to look for wedding invites that feature the various flourishes and architectural accents. With those key items in mind, you can then shop for the perfect wedding invitation for your art deco wedding and from thereon have edits done to the design to make it truly personalised to you and your groom-to-be! Select from the popular colours from the 1920s and match it with metallic for that glam appeal, and use it in the invite design and styling. Metallic/foil printed wedding invitations are popular choices with geometric designs taking centre stage whilst certain flourish and floral designs have also been favoured from the era. By shopping for your wedding invites keeping all your design preferences in mind, you are well on your way to setting the look and feel of your wedding theme. Be inspired by these Gatsby Wedding Inspirations to kick your wedding planning into high gear. Thinking up new themes and styles for your wedding? Wondering what the latest wedding invitation designs feature? We've compiled some great wedding invitation design inspirations that are hot and trendy for you to select for your dream wedding. Whether you're opting for a classic invite design or a modern look entirely, or possibly even a beautiful fusion of styles, there are many wedding invite inspirations to choose from with the help of DreamDay Invitations. Continuing from one of our past blog post “What is your Wedding Invitations Style and Theme”, we’ve compiled a few choice picks from the various wedding invitation styles and collections available on-line for purchase, and they have been categorised by trend. 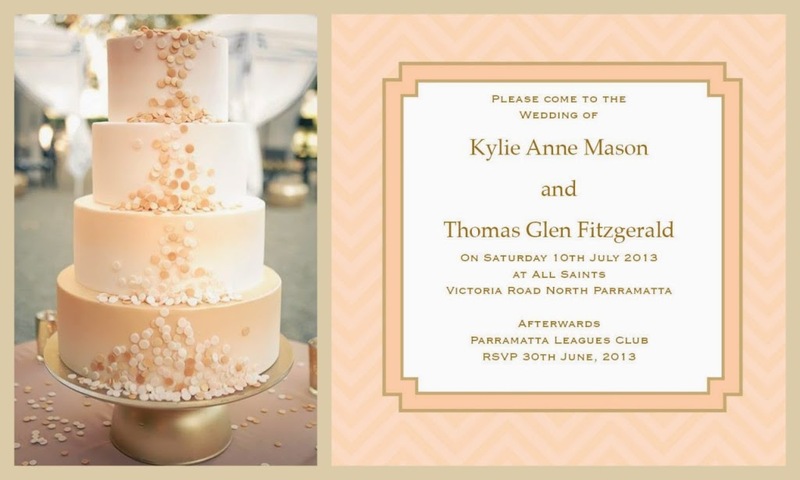 Adding a touch of lace, whether it’s drawn out in stencil form or is included in the wedding invite as an embellishment, lace wedding invitations are ideal as it goes hand-in-hand with the bridal look. Almost always, the wedding dress will have some lace appliqué as it signifies purity, innocence and new beginnings. You could be inspired to add lace to your invite card by using a design on the print, or go as far as to have it set in foil or embossing, or simply and delicately use lace as the forerunner by featuring it as part of a layered wedding invitation style. If you love the idea of a white wedding, you can definitely choose a simple design for your stationery. However, if you’d like to add a little “oomph” to it without it being too obvious, the best way to do so is with a subtle embossing treatment. Be it a flourish or lace design, you can have it embossed onto your wedding invitation card style as a finishing touch. A luxurious pick, these wedding invite designs evoke a sense of class from the moment you open up the crisp envelope or even better, the wedding invitation box. With layers of hard cardstock ranging from textured to speciality wedding paper, you can further add to the look with the help of embellishments such as satin ribbons, faux pearl and diamante clusters/buckles and not to mention lace trims, monogram labels and more. Take some time to browse through our great collection of wedding invitations and stationery designs for your inspiration, and take note of the designs to feature in your ultimate wedding invitation look! You’re putting it all together, a beautiful day that will be remembered for the rest of your lives. Your wedding day should be memorable and if you’re planning a memorable wedding start with all the details including sending out save the date cards in advance to ensure all your guests and invitees can make it. Sending a save the date is such a polite thing to do as it lets your wedding guests know way in advance that they need to ‘save the date’ for your special occasion on this particular date and at this particular location. The date in itself will help let them block out the day (be it the day or the night) from their calendar, but when you let them know the venue especially if it is out of town/state or even the country, you are given them time to make plans to attend which can include travel and accommodation plans and more. In your save the date card you can opt to include the bare minimum, so that your save the date wording will read something as follows. This being the easiest possible or standard save the date wording option, you are able to let your wedding guests know more information if you wish to. This can include adding the venue information, for example if it’s out of town or state or in a different country all together. These bits of information are important to your guests, especially if they will need to make their own arrangements for travel and accommodation. Some brides and grooms choose to share with the wedding guests choices of accommodations and travel options and even liaise with them to get deals at a discounted rate to attend the wedding day whilst some bridal couples will take care of all the arrangements and ensure that their guests will be able to make it as long as they set aside the time. In such events, you can include information on travel and accommodation options. If you are planning on sending accessories with your save the date cards, then your save the date wording will be a little more thorough. If you’re planning a destination wedding, what about sending your guests a passport styled save the date, with one sleeve including the wedding information (such as the names of the bride & groom, the date and venue) and then other sleeves including airplane options and possible discounted rates being offered for the wedding that has been arranged along with accommodation options too. This little save the date booklet in the form of a passport makes it easier to include all the information in a neat and tidy manner. Sending out your save the date cards and choosing the save the date wording to go along with it is important as it’s a precursor to the wedding invitations, and is a thoughtful way of letting your guests and invitees know you really want them there. Do you think of lace when you envision an elegant look for your wedding day? When you are walking down the aisle in your beautiful lace embellished wedding dress, will your guests instantly see how elegantly and thoughtful laid out your wedding theme is, from the lace wedding invitations, to the wedding stationery, the decor of the ceremony, the dress and then later the wedding reception. Lace can be used anywhere and in various styles and means to create a beautiful and elegant wedding day that will be remembered fondly by all. When you're considering choosing your lace wedding invitation designs, the invitations accessories (such as the reply cards, directions & accommodation cards, wishing well & gift registry cards), to the 'on-the-day' wedding stationery, there are various ways to go about it. It all depends on how the lace element is included in the design and to which extent. It could be used as an add-on decorative element, a focal design, or a balance between the lace and other design elements that you want featured on your wedding invitations, accessories and other stationery. Here are some designs that are effortlessly elegant and would be a great choice for tasteful and elegant wedding day. One of the most popular choices of wedding invitations, this elegant wedding invitation mixes two types of lace designs in its angles and curves to create a truly romantic feel, that when coupled with the ideal choice of wedding colour definitely creates a memorable impact on sight. This delightful design features printed elements such as the stripes and invitation text/wording. However, it's complemented elegantly by the beautiful lace trim that draws your eye up to balance the look of the wedding invites. A handmade and elegant wedding invitation, this design features several layers, one that accents the beautiful focal lace band. The entire ensemble is then tied all up together with a thin satin sash and diamante buckle making it classy but elegant too. With various designs to suit whatever your preference may be, DreamDay Invitations boasts a collection of hundreds of designs to choose from, from elegant wedding invitations, handmade wedding invitations, and a variety of printed designs in many trendy styles, you will be sure to find a look that speaks to you. DreamDay Invitations, it's all about making your dream day come true. When it comes to finding the perfect wedding invitations for your big day, you've probably searched for inspirations from deep within you to pages of every trendy bridal magazine that you can get a hold of. No matter the trends out there, there's always one style that never goes out of fashion. This is especially true when it comes to a wedding and that is simplistic elegance. When you choose wedding invitations that are simple but elegant, you are making a statement that says, "I know exactly what I want, I see the beauty in the simpler things as they are elegant". We've put together a few wedding invitations designs that evoke that quality and could very well be the perfect wedding invitation for your dream-wedding day! There's something about an all-white wedding that really says so much in all its simplicity and, of course, elegance. From the white wedding dress, flowers, wedding invitations and stationery with the bride (and the groom) emerging as the star(s), it'll be a beauty to behold. If that's the look you are going for, then choose a beautiful white wedding invitation too. Stick to the colour palette (of white and soft tones to complement it) and add interesting ways of spicing things up. This could be with the text in a complementing tone, to special treatments used for the designs you've chosen to stand out such as with embossing or metallic/foil printing. The best complement to white is ivory, because of the sheer delicateness of this colour and tone. It's the next favourite choice of wedding colour if white isn't the star and it's loved by many. You can choose ivory for your wedding invitations, from the colour of the designs or text, to the paper it's being printed on (Ivory Shimmer is quite the ideal choice of paper), to the embellishments and trims you choose, there are many ways in which you can definitely make a statement. Adding a beautiful ivory lace or satin ribbon embellishment can really do wonders to the design you choose for your elegant wedding invitations. Just because you are choosing simplistic elegance doesn't mean you can't opt for a little 'flourish' and 'pattern' in your life. Add a touch of colour into your white wedding invitations with a beautiful flourished design that reaches from a corner to the centre, or a regal damask print that is perfection alongside the scripted text you have carefully picked out. They will be the final touch that makes your elegant wedding invitation truly yours. In last week’s article of the first instalment of Choosing Your Ideal Wedding Invitation Design, we looked into the top ten wedding themes and the ideal wedding invitations designs offered by DreamDay Invitations. In this instalment of Choosing Your Ideal Wedding Invitations Design, we look into the next set of ten wedding invitations designs and themes that are trending in the wedding industry. Everyone loves the tropics, its warm and that sun kissed effect is quite fetching. When it comes to a tropical theme, you are setting a warm and fun setting to your special day. With bright powerful hues, such as the red, pink and the bright oranges, to the purples, greens and yellow, you can pick designs that focus on big floral designs for your wedding invitations such as Orchid Obsession, Framed Dahlia and Framed Tigerlily. Spring is a beautiful time of year, a time of awakening for many, and what you experience is the dawn of colour, in soft touching tones. The bright yellows to green, pink and purple are just some colours you would be seeing in springtime. When it comes to hosting your wedding during this season, you would keep in mind nature itself and opt for the likes of DreamDay Invitations’ Unforgettable and Framed Chrysanthemum. Summer is a favourite of many countries who enjoy all four seasons, and the summer would be a favoured one out of them all, for the warmth and the enjoyment that comes with it. So when you think of a summer wedding, you think of bright colourful tones and themes, such as yellows and pink, and the beach and the sun. Indulge in colour and look for designs such as Framed Seashell and Summer Sunshine. Christmas is a joyful time of the year, and when you are planning a Christmas wedding, there are some predefined colours for you to choose from. Reds, green, white and sometimes touches of brown are considered the colours to feature when it comes to a wedding that falls in or around this time. Choose the likes of Vogue, Filigree Cloud and Noble Fair from DreamDay Invitations. Fine art and history collide when it comes to the ancient times of Greece and Rome. The realms of Athens and Rome surround mythic tales and are lands of great style, design and architecture. Infuse the same spirit of the Grecian and Roman eras into your wedding day with the likes of Crest of Love, Champagne and Love Stencil in silver or gold foil print by DreamDay Invitations. Weddings are beautiful, white and pure, and angels fit the same description. Therefore, when it comes to having a white wedding, you could put a twist to it, and opt for an angelic theme. You could use design elements such as fluffy feathers, Grecian drapes and focus on soft light and pale hues with accents such as silver and gold for that special touch. Love Mosaic and Pearl Destiny are ideal for this kind of wedding theme. Night weddings are so romantic, especially if they are hosted over a clear midnight sky, where nature becomes part of your wedding theme. 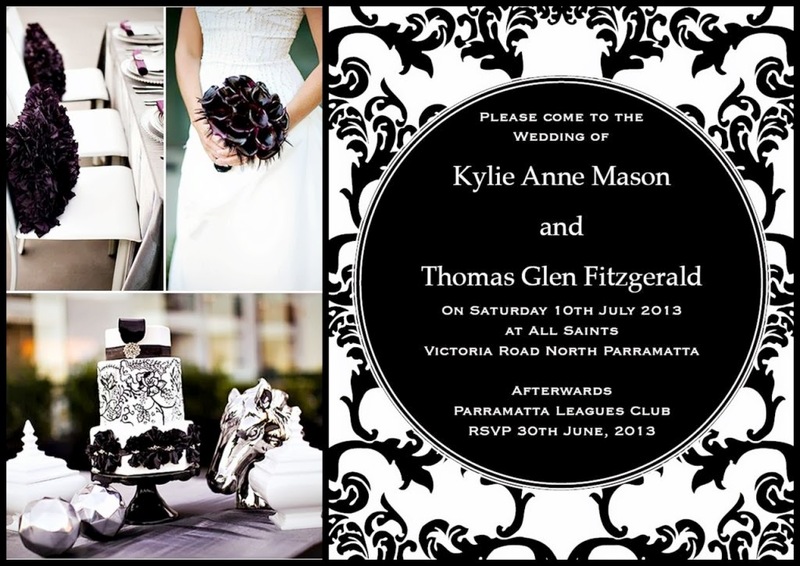 Your wedding invitations could take to the theme with a dark background such as blue, gray or even black. Bridal Lace would be a lovely choice for your starry night wedding theme. If you are sports fan, then you might want to pick up some inspiration of the many sports out there that you are a fan of and include it in your theme. For your wedding invitation, you could select something golf related and opt for a green wedding invite such as Candy Stripe. If you have a spacious backyard and believe it would be the best venue for your wedding day, then by all means. Backyard weddings are romantic, warm and close to home. If you like fairytale themes or even something along the lines of a garden or rustic wedding theme, then that may be what you should go for. A wedding invite such as Antique Amber would be a nice touch. Fantasy themes are quite the hit with many couples who are daring and bold, and a pirate theme is just one of them. If you are a fan of the likes of Jack Sparrow, then colours such as red and black, with tones of ivory would be ideal. Your best bet would be to purchase the DIY wedding invitations and then customise it with the pirate themes. Keep tuned for the last instalment of Choosing the Ideal Wedding Invitation Design next week! Weddings include a lot of planning and many tasks need to be completed before the big day. By starting your planning early, will give you enough time to settle on various things. Here at DreamDay Invitation’s Wedding Invitations Ideas, we are giving you some insight into wedding planning tips & advice on certain matters to make sure your special day goes off without a hitch. Weddings are considered one of the most expensive events in your life and will cost you a pretty penny for a pretty wedding. That is why budgeting and estimating is very important. One thing you must do is figure out what you really need and after that, figure out means to get discounts, find out alternate and cheaper options that are still of quality. There are certain things you can be thrifty about, and that is when it comes to catering, but with any other wedding element, you can have options. One method to fitting wedding designs elements into your budget would be to get find an unorthodox way to getting it done (sometimes eliminating the intermediary), opting for bulk options for that special discount, waiting for special offers or DIY. When it comes to wedding invitations, there are way ways you can go about it. With DreamDay Invitations, you are given the option of simply going to the website, browsing through the collections, editing and customising the wording and guest list and ordering your wedding invitations to be delivered to your doorstep. In addition, the option of wedding invitations bundles is also available with DreamDay Invitations. It is a one-stop shop for your wedding stationery, and furthermore, the more people you invite, the bigger the discount you receive, in terms of the rate per item. It’s always a good idea to know a timeline of when things need to get done, therefore be specific about when to RSVP, as the venue (in case it is a hotel, restaurant and so forth) needs a proper count to ensure you are within budget. Some people opt to not reply and simply show up for the wedding reception and this might cause issues with catering to a specific number of guests. Make sure you leave enough time between the RSVP deadline and the caterer deadline so that you could check your guest list, figure out who has not responded and attempt to have them contacted to ensure that they will either be attending or not. Usually the deadline for RSVPs are six weeks prior to the wedding, that should give you enough response time. This will help you keep your budget on track and assure you that there will not be an issue of seating, catering and so on. Make sure that the RSVP details are precise and give you enough leave way. Also, make sure that they have several modes of contacting you to either confirm their attendance or pass on their regrets. With these few wedding planning tips and advice that DreamDay Invitations has to offer you at this time, you can save yourself a pretty penny and ensure that unforeseen circumstances do not develop. Keep peeled to Wedding Ideas for more to come. Weddings have always been beautiful events, where family and friends join in the celebration of a beautiful union of two souls in love. There have been many weddings that portray different styles and themes, which include the likes modern and contemporary to elegant or vintage. Victorian themed weddings fall mostly in line with vintage wedding themes, and in this installment, we are featuring Victorian wedding invitations. The Victorian era brought forth beautiful creations, infused with a taste of luxury and elegance. If you want to add a Victorian touch to your wedding, then you can opt to include the likes of floral accents, patterns, frames, ornate borders and even motifs to your final wedding stationery design. When considering floral accents, there are so many flowers to draw inspirations from, where the wedding invitations illustration design will be affected. If you have gather inspiration for an illustration that depicts a creeper type of flower, then you might have more loops or swirls in your design, or maybe accents of the petals, and so forth. The floral design may even present itself in a pattern, that is subtle and not too significant, but enough to remind you of it. With patterns, there are so many to choose from floral, to filigree, stripes or pin stripes, polka dots, toile just to name a few. These can even present themselves in borders, that either line the edges of your wedding invitations, to even taking up most of the fore ground. Some examples from DreamDay Invitations’ collection include the likes of Crest of Love, Vogue, and Love Stencil. Either way, you have to see which type of design and layout best suits your vision for your Victorian themed wedding. Sometimes, you can mix and match your design elements to create something truly unique, and to help this objective, we put the use of frames into action. They may come in various shapes, such as square, round and oval frames, which are the most popular. You can have them featured in your wedding invitations, such as those offered by DreamDay Invitations, such as Polka Dot Diva, Silk Borders, Chantilly Lace, Polka Dot Crest, just to name a few. Either you could also opt for motifs that are designed specifically for you or something that is already available such as the fleur-de-lis featured in Renaissance Kiss. Adding accessories to your wedding invitations themed after the Victorian era, you could opt to add a gold or silver touch with foil printing. DreamDay Invitations offers you the option to print your ornate pattern or border in foil treatments. If you are opting to have a designer make the wedding invites for your special day by hand or even you are option to DIY wedding invitations, then adding a layer of lace or accents in lace would be fitting. Browse for that special wedding invite design in the DreamDay Invitations wedding collection. You’re fiancé has just popped the question, and you, of course, said yes. You know that in the following months there will be a lot of tasks you need to accomplish. Planning a wedding can be so much fun. The days up to your wedding will be full of precious memories too! One of the most memorable times will be when you see your elegant wedding invitations. There are enough daunting tasks to be done. Choosing your wedding invitations shouldn’t be a stressful episode. There is a way to that will make getting the perfect invitations quick and easy. The old days of running from printing company to printing company are long gone. The internet is now the easiest, most interesting and least expensive way for a lot of your shopping needs Just going to the right website and browsing around will give you some great ideas for those captivating, yet elegant invitations you want. After all, the wedding invitations are the first part of your wedding that your guests will actually see. You want them to be so memorable that they will want to keep them for years to come. You can browse through the many different, elegant styles available. You can choose from a variety of colors, textures, prints and finishing effects also. Whether you want, an old lace look or an elegant embroidered design, these and so many more are available. Matching your wedding colors is simple and easy, and if the exact color isn’t in the pallet, you can talk to a specialist by e-mail, chat or phone to submit the specific color you are looking for. Large, delicate roses, swirls, ribbon trimmed brocade, twirls in pinks, reds, blues, lavenders, earth tones and more create a large selection for you to choose from. Pick the designs that are your favorite, the colors that match your wedding theme and you are on your way to getting those captivating elegant wedding invitations. Rectangle, square, pocket, tri-fold, bi-fold and no fold invitations are available in almost every design. Depending on the amount of print, the number of cards being sent, you can choose the shape that fits your needs, looks great with the style you chose and will impress your guests. How large or small you want your invites is entirely up to you. Choose the size that will easily allow for all the information that you need to have put on them. You can choose from standard form wedding templates, or use your own wording. Be sure that the information you are putting on there is correct and that all the names, addresses and information are spelled correctly. Nothing is more embarrassing than having someone come up to you before after the nuptials and point out errors on the one item you want to make a big impression with. You want everything to be perfect, and getting what you want is made easy by using the website for your wedding invitations.